Even in winter, a warmed salad can still be filling and hit the spot. You could add cooked meat to this dish to make it even more of a meal, but it is satisfying enough as it is thanks to the combination of vegetables, beans, grains and cheese. A vibrant burst of purple from the seasonal beetroot whizzed up with Provamel unsweetened soya yogurt adds the ideal (and colourful!) finishing touch. 1) Firstly, peel and chop the beetroot and roast in coconut oil and seasoning for about 15 minutes until soft and cooked. Leave until needed. 2) Cook the quinoa according to packet instructions (rinse in a sieve then simmer for about 15-20 minutes). Add the edamame beans and broccoli 10 minutes before the end of cooking – bring to boil again and simmer, then drain. 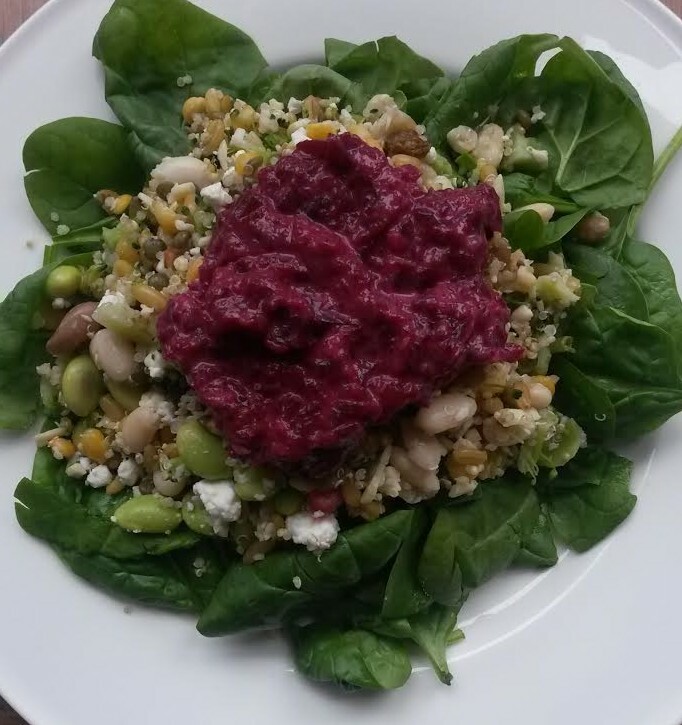 3) While the quinoa and beetroot are still warm, arrange spinach leaves on plate, top with cooked beans, quinoa, pomegranate seeds and feta. 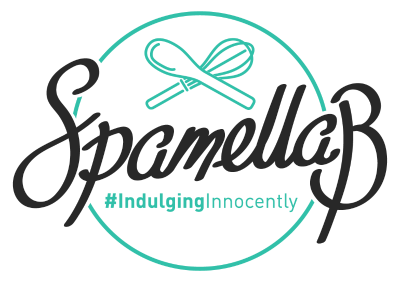 4) Put cooked beetroot in a blender with Provamel and plenty of black pepper and seasoning. Whizz up until pureed (either completely smooth or still a bit chunky – you decided!) then spoon on top. Enjoy!